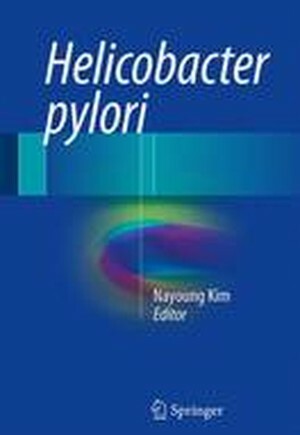 This book presents the current state of knowledge regarding the ability of Helicobacter pylori to colonize the gastrointestinal tract, the global epidemiology of H. pylori infection, transmission routes, the pathophysiology of H. pylori-related gastroduodenal and other diseases, diagnosis and treatment methods, guidelines for eradication, antibiotic resistance, the reinfection rate after H. pylori eradication, and animal models of H. pylori or related Helicobacter infection. The aim is to equip readers around the world with the understanding required in order to implement effective methods of H. pylori eradication and to enhance clinical outcomes for patients. The text is clearly written and is complemented by many helpful illustrations. This book will be a great asset in clinical practice for all practitioners who are involved in caring for patients with H. pylori-related diseases or have an interest in the subject. It will also be a useful source of information for medical students and for intelligent laypeople seeking information on H. pylori. mechanism.- 4) Change of acid secretion, ghrelin and leptin by H. pylori.- 5) H.
4. Symptom.- 1)Symptom of acute and chronic H. pylori infection.- Part 5. Pathogenesis:iii. Macrophage inhibitory factor (MIF).- B4: Pathogenesis: iv. gastropathy and H. pylori infection.- 8) Extraintestinal manifestations of H.
cancer.- 11) Recrudescence and reinfection.- Part 8. Consequences of H.
microbiota of stomach.- Part 10. Animal model- H. pylori, H. felis.